What do the stars hold in store for you? 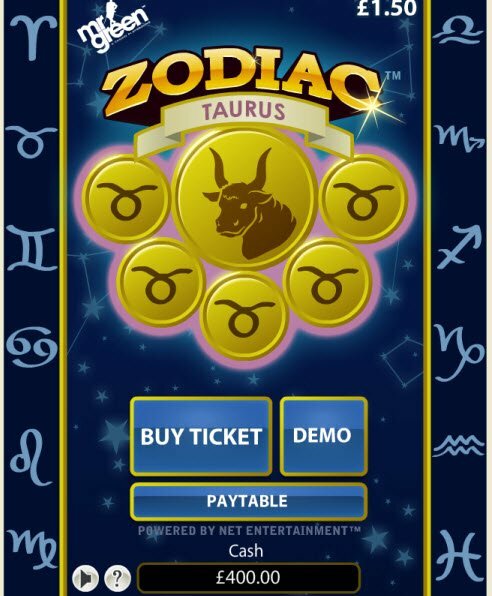 Play the Zodiac Scratch Card Game and you could discover a future filled with huge payouts. The game is simple enough, choose a Zodiac sign. Then “scratch” or click on the surrounding spaces. Reveal matches and redeem prizes! 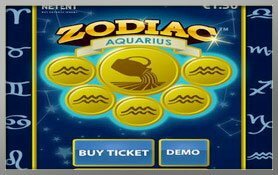 Powered by the Net Entertainment software platform, the Zodiac Scratch Card Game brings a clever theme to a simple game. The game allows you to choose which Zodiac Symbol you’d like to use. Then simply scratch away. 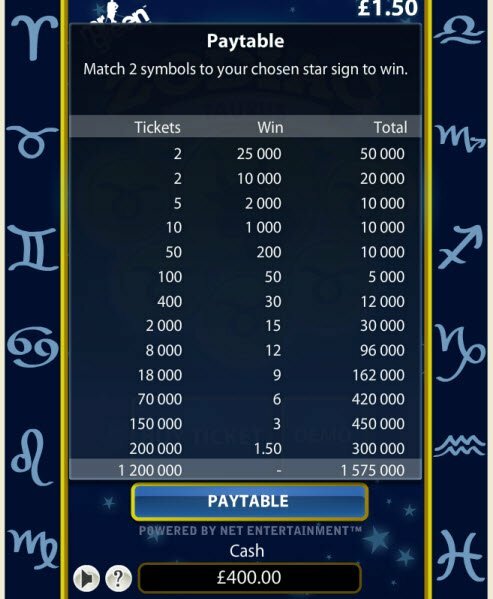 The goal is to match 2 symbols to your chosen star sign to win money. The simplicity of the game really doesn’t require ultra sophisticated graphics. Although I have seen other scratch card games that do have better designed graphics, overall the Zodiac Scratch Card has a nice look. Players can choose among the Zodiac signs when playing. Each scratch space reveals simple and clear Zodiac symbols in different colors. The actual scratch card is decorated with celestial symbols in blue. It’s easy! Find matches with your chosen Zodiac and win cash. The more matches you accumulate, the more money you win! You’re not going to find too many bells and whistles with the Zodiac Scratch Card Game. The rules are pretty simple. It’s easy! Find matches with your chosen Zodiac and win cash. The more matches you accumulate, the more money you win!